Rene Furterer Naturia Dry Shampoo Promo -50% Off 2nd 300 ml vials order online. 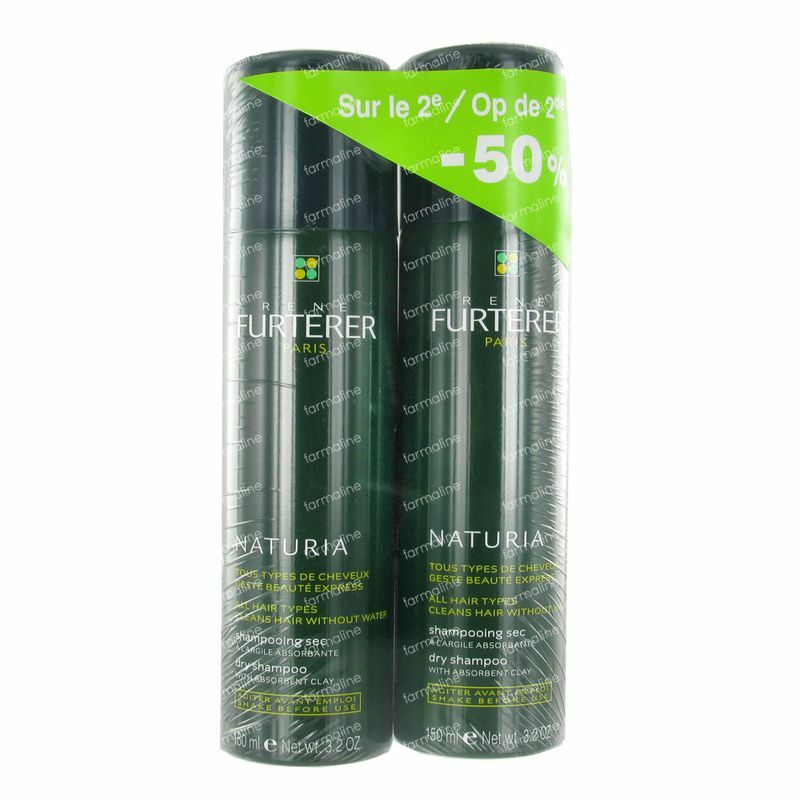 Naturia dry shampoo cleans hair without water. With the absorbent clay powder, this easy to use aerosol brings texture, volume and lightness to hair. It leaves hair lightly scented with essential oils. Shake weel before use. Spray evenly 10 inches away from scalp on dry hair, focusing at the roots. Leave on for 2 minutes.Par gently with a towel and brush hair. Very handy if you're a frequent gym member. Washing your hair too often is not good and this is that easy in between fix to refresh your hair. It's easy to carry with you in the gym bag. Just don't mix it up with deodorant. Very handy if you need things to go super fast. I was looking for this for a long time and found it by accident on your site. Perfect for a short trip.